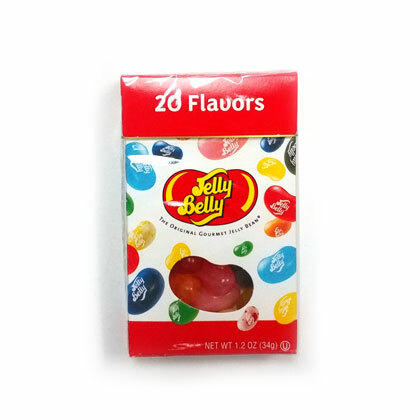 Jelly Belly assorted 20 flavors of jelly beans in a small boxes. Perfect 1 oz. 100-calorie portion is great for a party or giveaways. Flip top box is approx. 2 by 2.75 inches tall. All Jelly Belly jelly beans are OU Kosher. Gluten free, peanut free, dairy free, fat free and vegetarian friendly.